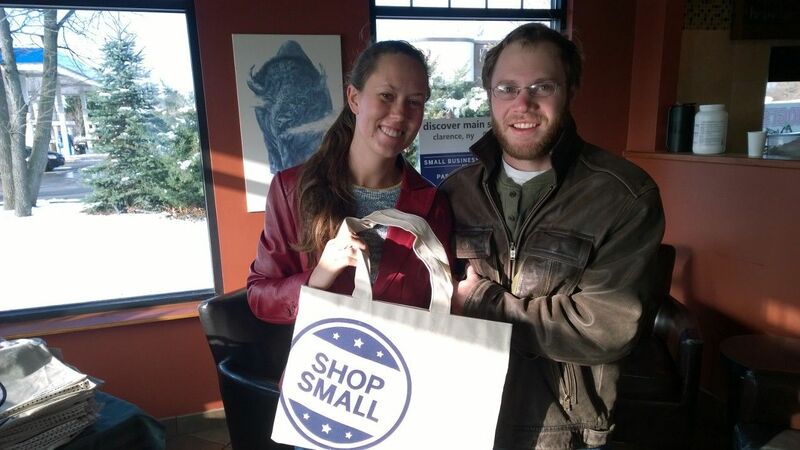 Participating in Small Business Saturday (November 28th) is super easy, fun and rewarding. Grab some friends or family member and make it a delightful day. 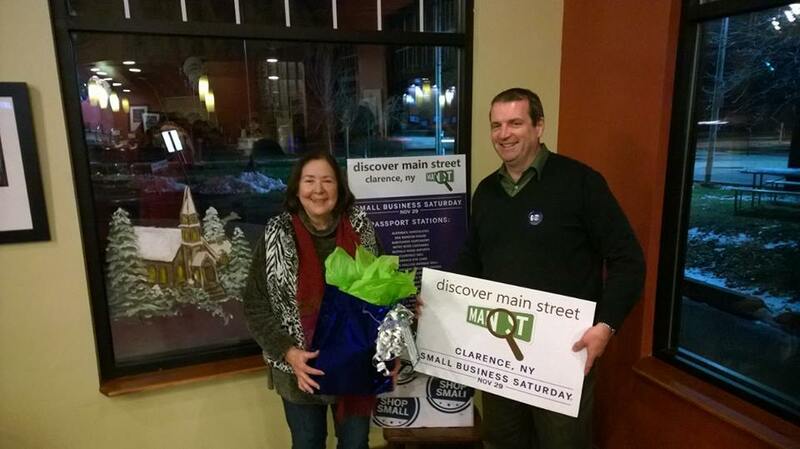 EXPLORE: on Saturday, November 28th explore the wide-variety of businesses on Main Street in Clarence. 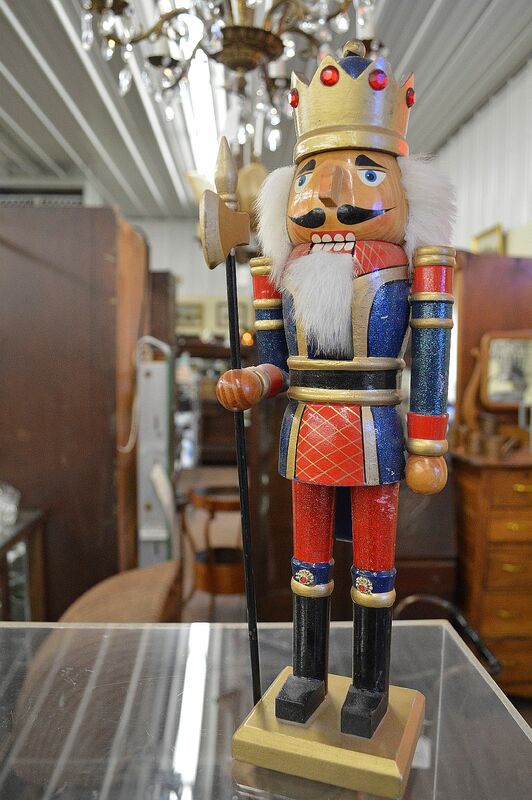 You’ll be amazed at all the items you can find on your holiday list. COST: nothing…more $$$ for your holiday shopping. 2014 Small Business Saturday gift basket winner. PARTICIPATE: visit Main Street businesses, get your passport stamped, and you’ll be eligible for a Main Street Clarence gift basket valued at $500. The drawing will take place at 3:00 p.m. on Saturday, November 28th at Goodrich Coffee & Tea, 9450 Main Street. You can pick up your passport at Goodrich Coffee & Tea and at participating businesses. CELEBRATE: kickoff Small Business Saturday with free coffee at Goodrich Coffee & Tea from 9:00 a.m. to 10:00 a.m. You’ll also be given a free designer tote bag to help with your shopping. FUN: holiday shopping does not have to be a painful experience. No need to fight large crowds at shopping centers or jockey for that last parking spot, Small Business Saturday on Main Street in Clarence is a much more relaxing affair. Not only will you enjoy discovering businesses, but the stress load is much less. As a fun touch, quite often the owner of the business is working behind the counter or helping customers. It’s a nice way to get to know the people and places within Main Street.